With every fashion week comes the emergence of a new name. 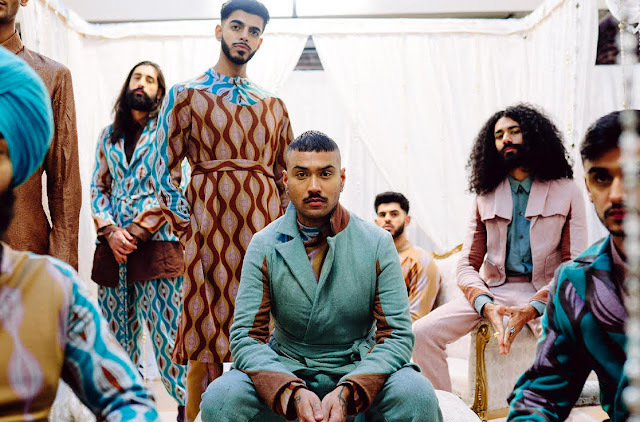 At London Fashion Week Men’s in January 2019, Rahemur Rahman, a London-born Bangladeshi designer, was the new kid on the block. He showed off the official schedule at the Kobi Nazrul Centre. The show was met with praise from publications such as Wallpaper* and AnOther Man, and the support of fashion journalist, Sarah Mower. Rahman graduated from the MA Menswear programme in 2014, the same year as Grace Wales Bonner (also from the Menswear programme), Richard Malone and A Sai Ta (Womenswear graduates). “We were part of the press show so people expected me to start a label but I wasn’t ready at the time,” said Rahman. Rahman completed stints at Nicomede Talavera, Yang Li, and Underground England. His time at Underground England, where he designed footwear, inspired him to apply for the MA in Footwear at the Royal College of Arts in London. “My scholarship had fallen through. 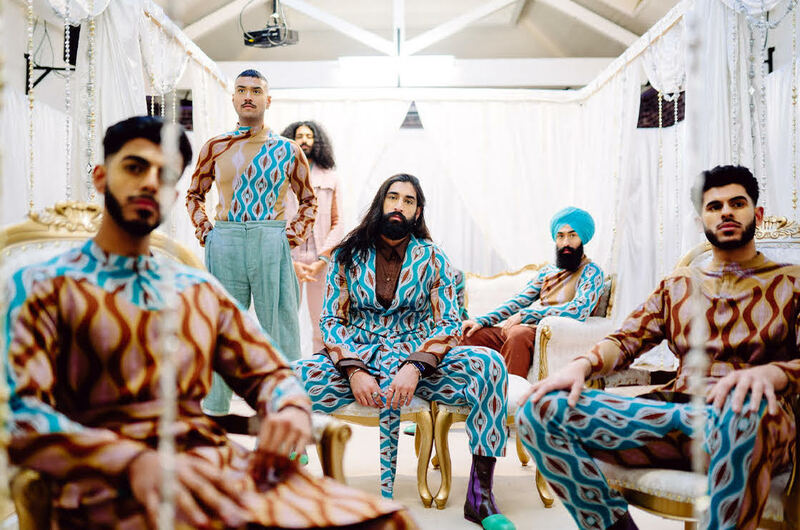 I’m glad it did because it allowed me to re-evaluate and, after four years of moving around design jobs, it pushed me back into design and I wanted to launch my own label.” Thus, Rahman’s eponymous line was born. His Fall 2019 collection was underscored by the fusion of Saville Row-inspired tailoring and traditional Bangladeshi dress, and the interplay of old family photos in 90s London with the contemporary streetscape of his local Tower Hamlets. The clothes, in shades of aqua, salmon, and brown, sought influence from feminine tailoring. “My father is a tailor in East London and he’s made suits for all his life. He used to make my brothers and I suits for Eid al-Fitr and my mother would always have us replace the shirts with traditional dress. I love that she’s unapologetic about her culture,” said Rahman. 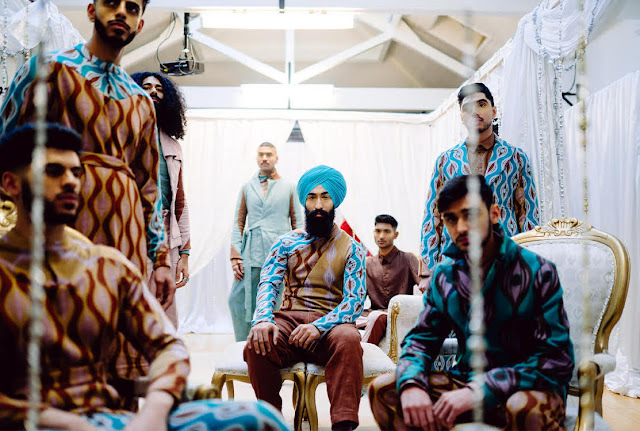 The screen-printing on the clothes was completed by ‘A Team Arts’, an arts youth organisation in Tower Hamlets, London, where Rahman is also a tutor. The hand-embroidered naturally dyed silk was made in partnership with ethical fair trade Bangladeshi organisation, Aranya. The embroidery was done by a group of women in Bangladesh. The ‘nakshi kantha’ stitch is a centuries-old Bengali tradition, typically used on traditional blankets sold in Bangladeshi markets for as little as 20p. Photographer: Jahied Ahmad. Courtesy of Rahemur Rahman.